Faced with mounting pressure from animal welfare organizations and bans and restrictions by local jurisdictions, the Ringling Bros. and Barnum & Bailey Circus has finally relented on the use of elephants as entertainment. Ringling’s announcement that it will phase out the use of elephants by 2018 comes after years of dwindling attendance in the wake of adverse publicity about the treatment of its elephants and other wild animals used as performers. The victory in this long-standing battle belongs to the elephants caught in the trap of the Ringling circus, and the time is propitious to reflect upon what they endured during the last 133 years. For the most part, the circus is a wonderful event. The clowns, acrobats and other performers provide terrific entertainment. However, behind the rose-colored façade there is a dark side to the big top that has been kept far from public view. The so-called “tricks” that wild animals are forced to perform is contrary to their nature. The image of a tiger jumping through a hoop of fire makes one wonder, why would an animal who is terrified of fire do this deathly trick? The spectacle of an elephant performing a headstand is no less curious. 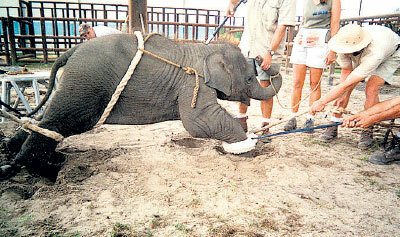 The industry would have the public believe that circuses do not use cruel methods to train animals. However, the tools of the trade used by trainers belie this claim. Whips, tight collars and wire tie-downs are routinely used on big cats, while elephants are subject to being stricken with bullhooks (a heavy metal club with a point-and-hook at one end, sharp enough to pierce elephant hide). They are also disciplined with electroshock devices that keep them in a state of fear so they will perform on command. Much of the brutal treatment is inflicted upon baby elephants and is designed to break their spirit at a time when they should be with their mothers. Experts have opined that circuses teach children to disregard the feelings and rights of other living creatures. This raises the question: Does the use of wild animals as performers in circuses send a wrong message to children that cruelty to animals is acceptable? Inarguably, real educational value lies in seeing these magnificent creatures in a natural environment where children can learn to appreciate their true nature. Denials by the circus industry about the treatment of elephants flies in the face of numerous undercover photographic and video footage revealing shocking beatings in training sessions. After an investigation by the USDA, Ringling paid a record $270,000 penalty under the Animal Welfare Act. 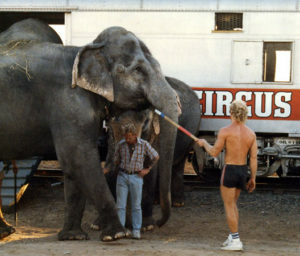 Wild animals in circuses also endure grueling travel demands in boxcars, trailers, and trucks. Elephants may be forced to stand for days while traveling, even in extremely hot and cold weather and without climate control. Big cats and bears are confined in cages so small that they can barely turn around. Elephants are highly intelligent, sensitive beings with strong family bonds and typically walk more than twenty miles in the wild. 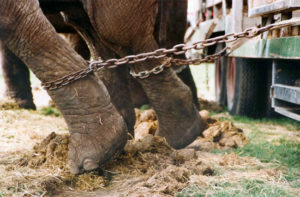 In circuses, they are doomed to a life in captivity and may be kept shackled in chains for up to 22 hours a day. In the last session of Congress, Representative Jim Moran introduced the Traveling Exotic Animal Protection Act (the Federal Circus Bill) into the House of Representatives. Rep. Moran observed: “[I]t’s clear that traveling circuses aren’t providing the proper living conditions for exotic animals.” Hopefully, the Ringling announcement will serve to invigorate members of Congress to reintroduce the bill and it will be signed into law without further delay. There still remains much to be done to put an end to the use of all wild animals as entertainers in all circuses that hold them captive. It is incumbent upon lawmakers, in jurisdictions where circuses are hosted, to prohibit an event that is inextricably linked with extreme inhumane treatment of animals. Only then would the sad chapter of suffering endured by these remarkable beings be closed. This would represent a long overdue tribute to their birthright to be wild and free. Ira Fischer devotes his retirement from the practice of law to advocacy for the cause of animal welfare. Ira is associate editor with Big Cat Rescue, an exotic cat sanctuary in Tampa Bay. The mission of Ira’s the website www.irafischer.com is: Kindness and Compassion for Animals. Ira Fischer’s biography can be seen on his website. Ringling’s Decision on Elephant Acts Was Long Overdue by Ira Fischer, published by Encyclopaedia Britannica can be viewed on their website. 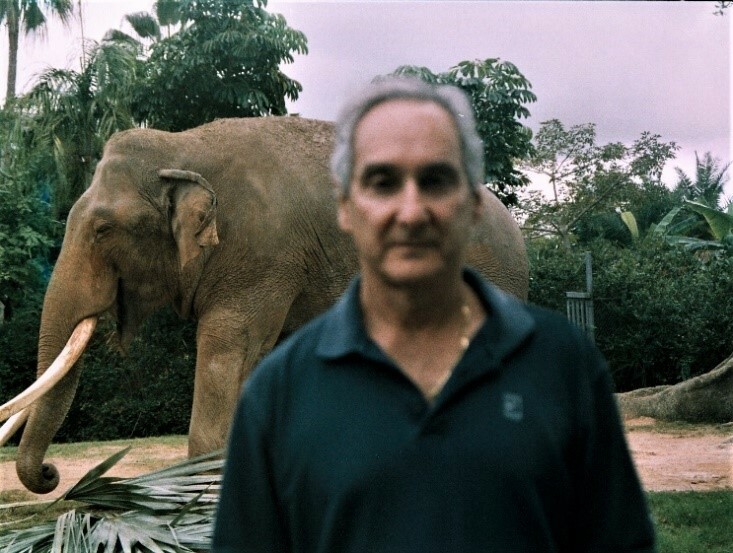 Other versions of the article include: Time has Come to Ban All Animals as Circus Acts by Ira Fischer, published by the Palm Beach Post; and Ringling’s Relent on Elephants Was Long Overdue by Ira Fischer, published by Big Cat Rescue. 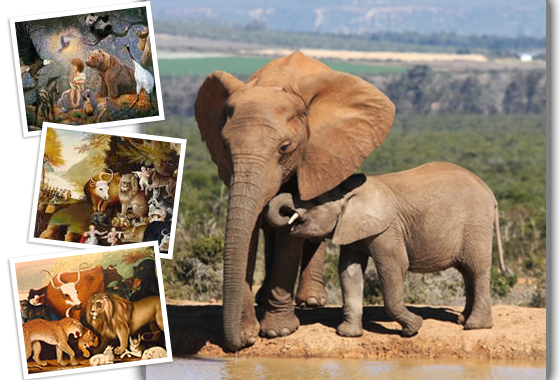 Prior to the publication of Ringling’s Decision on Elephant Acts Was Long Overdue, several other articles on the subject of elephants caught in the trap of the circus were published, including Christmas is no Holiday for Circus Animals by Ira Fischer, published by Big Cat Rescue. 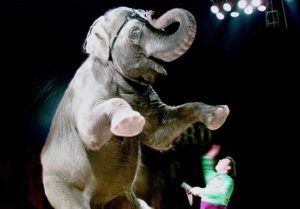 Subsequent to the publication of Ringling’s Decision on Elephant Acts Was Long Overdue, Ringling announced that it would close its curtains altogether and, on May 21, 2017. this sad chapter for all wild animals under Ringling’s big top finally came to an end. Although Ringling, the largest circus operator in the U.S., has terminated its operation, there still remains other circus acts that continue to abuse and force wild animals to perform unnatural acts for its audiences. As reported by National Geographic in Why All of America's Circus Animals Could Soon be Free, “In late March, Representatives Raul Grijalva, an Arizona Democrat, Ryan Costello, a Pennsylvania Republican, and 22 other lawmakers introduced the Traveling Exotic Animal and Public Safety Protection Act (TEAPSPA) in the House. It would require the 19 traveling circuses in the U.S. with performing animals to use only human entertainers—or shut down. If the bill passes, it will end life on the road for more than 200 big cats, bears, camels, and elephants still working as circus performers.” The article noted that TEAPSPA would ban the use of exotic and wild animals in traveling circuses and any other entertainment act on wheels. Please write to your Representatives in Congress and urge them to support TEAPSPA. To contact your Representatives with a sample letter, go to STOP CIRCUS SUFFERING. The HBO documentary An Apology to Elephants chronicles “mankind’s” sad history with elephants and explores the many problems that arise when they are brought to live in captivity in zoos and circuses. To learn more about the miserable existence of the victims of the performing animal entertainment industry, visit the website of Performing Animals Welfare Society. The greatest problem facing elephants is poaching in the wild, fueled by the ivory trade, which is devastating populations in Africa. As reported by CNN in Our Living Dinosaurs, a Pan-African survey released in 2016, showed that in seven years, between 2007 and 2014, the estimated savannah elephant population plummeted by at least 30%, or 144,000 elephants - - a third of Africa’s elephants wiped out in 7 years. The toll was primarily due to poaching. The report noted that the killers often don't even wait until the elephant is dead before they begin their ugly butchery. For dos and don’ts of charitable giving to animal welfare organizations, see Ira Fischer’s Guide to Charitable Giving for Animal Welfare Organizations For resources concerning the issue of captive wildlife, as well as interesting and informative books and films that journal the fascinating intelligence and incredible beauty of animals in the wild, visit Ira Fischer’s Library of Books and Films About Animals.